Albay will host the New Tourism Frontiers Forum 2015, organized by the Pacific Asia Travel Association (PATA) on November 25-27 at the Oriental Hotel in Legazpi City. It bested other major bidders in the Asia Pacific Region to host the meet. The event will be jointly presided over by Tourism Secretary Ramon Jimenez and PATA Corporate Executive Officer Mario Hardy. PATA, the premier travel organization in the Asia Pacific, has close to 1,000 associate groups, education and hospitality agencies, tourism destinations, as well as corporate, government and industrial links; and about 70 aviation carriers as partners. Aside from more economic benefits for their province, Albay Gov. Joey Salceda said the forum venue in Legazpi City also further firms up Albay’s reputation as a leading Philippine tourism growth area and a showcase in transcending the ill effects of climate change through novel approaches to tourism promotion, among others. Salceda has been asked to discuss the forum’s theme, “Ecotourism: Transcending Climate Change.” He is expected to share with foreign delegations Albay’s experiences, particularly its highly effective climate change adaptation and tourism strategies. The forum will bring together world tourism experts and players in Albay to discuss current and emerging issues related to adventure, travel and responsible tourism, in the face of threats of weather disturbances brought by climate change. It also aims to share with participants new insights on eco-tourism, market updates on emerging destinations, and practical knowhow in tourism management. “As host of PATA 2015, Albay shares its unique experiences in transcending the inevitable effects of climate change,” Salceda noted. The United Nations has declared Albay as its Global Model in climate change adaptation (CCA) or adapting to the impacts of climate change. After suffering 46 percent damage in 2006, the province quickly recovered by using tourism as one of its principal tools for reconstruction. The November forum in Albay serves as the opening salvo for the destination-based objective of “Visit the Philippines Again (VPA) 2016,” the country’s first massive retail-focused tourism campaign, with Albay and the Department of Tourism (DOT) as partners in the endeavor. 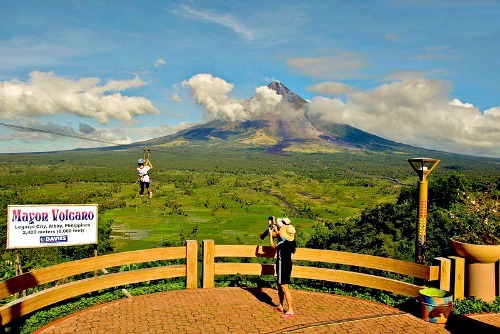 DOT has declared Albay as the Philippines’ fastest growing tourist destination. It posted an impressive 47 percent tourism growth in 2012; 66 percent in 2013; and 52 percent in the second quarter of 2014. Considered amazing was the surge of foreign tourist arrivals to 339,000 in 2014 from only 8,700 in 2006. Within that same period, Salceda initiated the construction of some 320 kilometers of roads which provided access to new, unique and exotic tourism destinations. For pioneering novel tourism programs that made Albay a national partner in developing tourist destinations with global tourism standards, the DOT honored Salceda with its First Tourism Award early this year. The New Tourism Frontiers Forum 2015 in November offers special free registration to tourism groups’ representatives to whom it aims to impart practical knowledge and skills in running their respective organizations. Salceda said the PATA forum has added up to Albay’s whole-year round of international events and some 20 festivals, dubbed as Planet Festival, which promise truly enjoyable experience to visitors. Last February, Albay hosted the world popular XTERRA Off-Road Triathlon which was participated in by 307 foreign and Filipino triathletes. It hosts the sports event for three years.